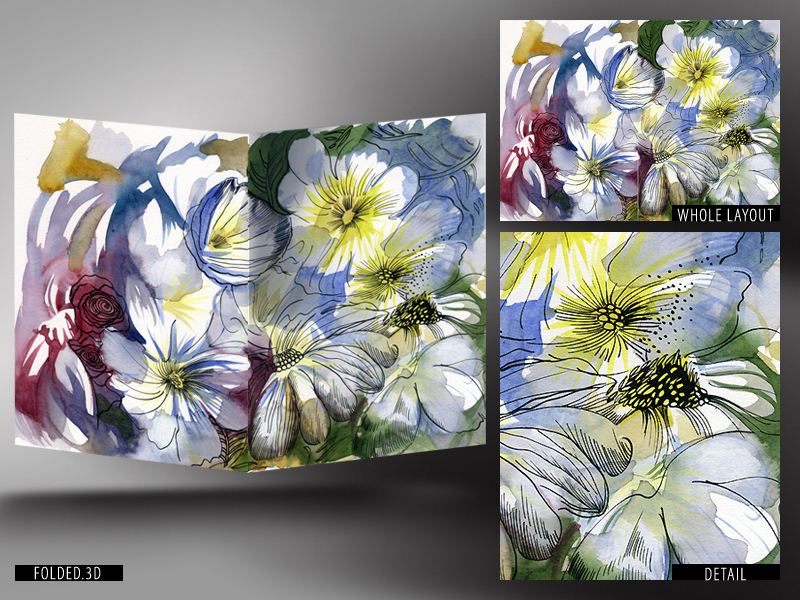 Summer Daisies field is hand painted watercolor card on watercolor paper (300 gr per square meter), folded vertically, folded size 140 mm x 205 mm, whole layout size 280 mm x 205 mm. One side painted. Inside - blank.